Over the past years, graphic designer’s profession has changed significantly. Some might sayit’sevolving or rather turning into a website design revolution. Perhaps reality is somewhere in between. 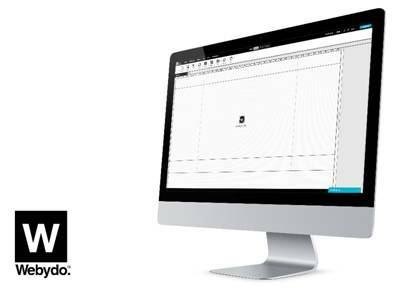 Designers and professional designer agencies are starting to take back full artistic and creative freedom by utilizing platforms like Webydo, the leading professional cloud-based design studio, to create, manage and publish client websites from start to finish. Year after year new web technologies emerged; new programming libraries that you need to know to be more efficient, new browsers with their own quirks, Internet Explorer still around to give you compatibility nightmares. And at the end of the tunnel somewhere after the 10th million line of code(and more different programming languages even a programmer would ever need) you forget what is to be a designer and wish to focus your efforts on the design. 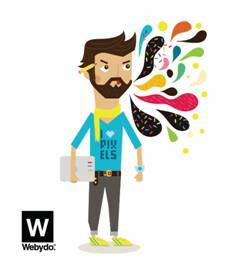 This is why Webydo is a favorite among other online platforms specifically for creative professionals. 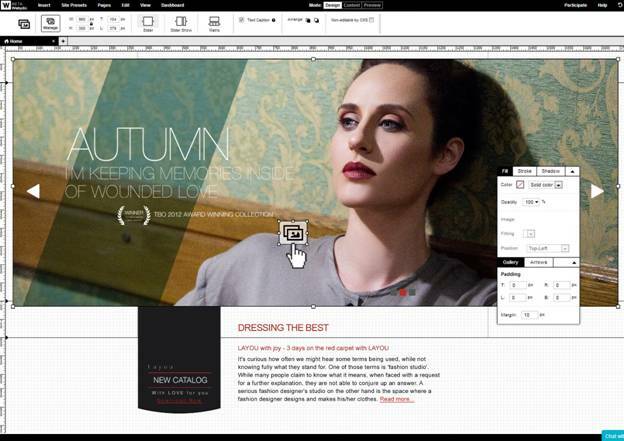 Designers can focus their efforts on the design in the DMS (Design Management Studio) working with familiar features that resemble that of Photoshop or InDesign. Webydo is a revolutionaryweb design software that liberates us from our dependency on handwritten code or limiting DIY template builders that yield lackluster results. So we can enjoy the creative process, while its innovative code generator will generate all the necessary code for us. Unlike simplistic code-free DIY website builders (such as Wix, Squarespace or Weebly) that offer amateurs a limited selection of pre-designed websites, with Webydo you can start create a website from scratch providing your clients a high quality custom tailored web design. The website builderincludes every website element you will probably need to create your layout. You can addvideos, images, text, flash, forms, menus and widgets, blog articles, widgets etc.Each element can be dragged around in the canvas, resized, and positioned exactly as you want with pixel perfect accuracy, asyou can also setup custom grids, rulers, and you even have the option to repeat elements across all pages. When you finish designing your website just hit publish, all the code will be automatically generated for you, and the site will be live on the internet. 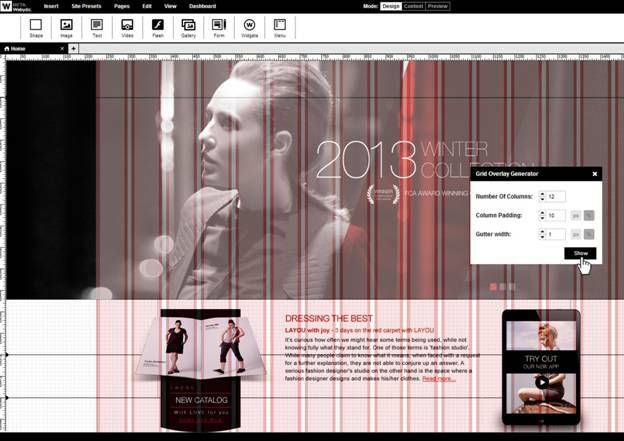 Unlike other DIY website creators Webydo packs advanced CMS features. You (or even your client) can update the site’s content any time. 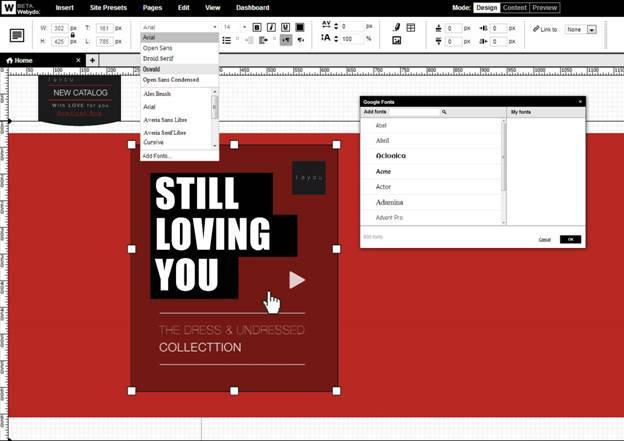 With the same WYSIWYG you used to design the site, the CMS user can replace texts, add graphics, change images or videos and affect every element the designer hasn’t marked as non-editable. And since the CMS user can only update the content you can be certain that they can’t mess with the site layout! It’s easy to manage all the websites you created in Webydo through your dashboard. There you will find options to change the website’s settings,edit their SEO options, duplicate or delete them, update their content, and more! With Webydo’s “Client Billing” system you can even bill your client directly from the dashboard and work with the white label to put your brands logo front and center. This create a more professional work space for both the designer and client. You can host for free and publish unlimited websites on Webydo’s sub-domain. On the free plan each of our websites gets advanced cloud hosting, can have up to 15 pages, utilize unlimited bandwidth and 1GB of storage. Only when your client’s site is ready to publish on its own domain, you can then update to a Premium Plan. The yearly cost for the premium plan is$7.9/month billed annually including a 14 days money back guarantee and includes unlimited pages and CMS users, unlimited bandwidth and 2GB of storage space as well as premium support. Founded by designers and creative professionals, Webydo is empowering 73K professionaldesigners from around the world, eliminating theirtechnical barriers and helping them focus on the creative side of web creation. All designers can vote to prioritize the development of the new features, suggest new features, and report bugs on Webydo’s Participate page. Putting the power back in the designers hand for them to lead the design revolution. Webydo is revolutionary web design software that brings stunning freshness, addictive ease of use and astounding feature rich design to the entire process of website creation.So stop worrying about pointless code and feel like a designer again.Give Webydo a try today by signing up for a Free account and start enjoying your creative Freedom.